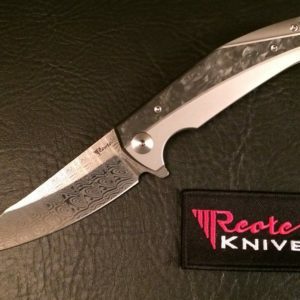 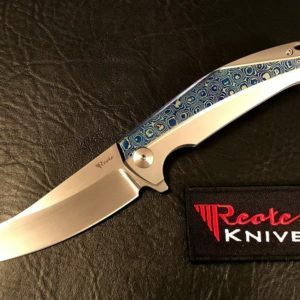 Here is the Reate Knives T2500. 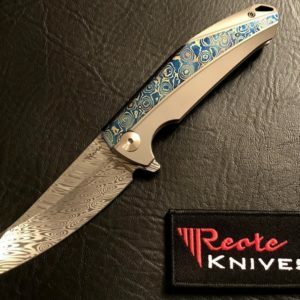 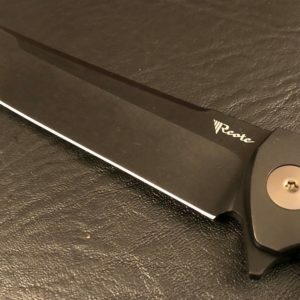 This knife is designed by Tashi Bharucha. 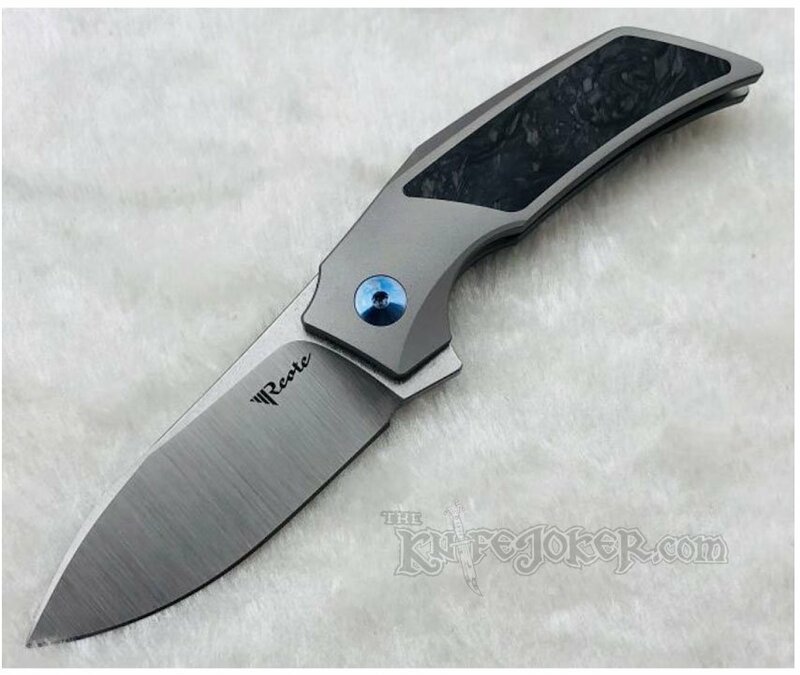 This knife is a titanium frame lock flipper with a marble carbon fiber insert. 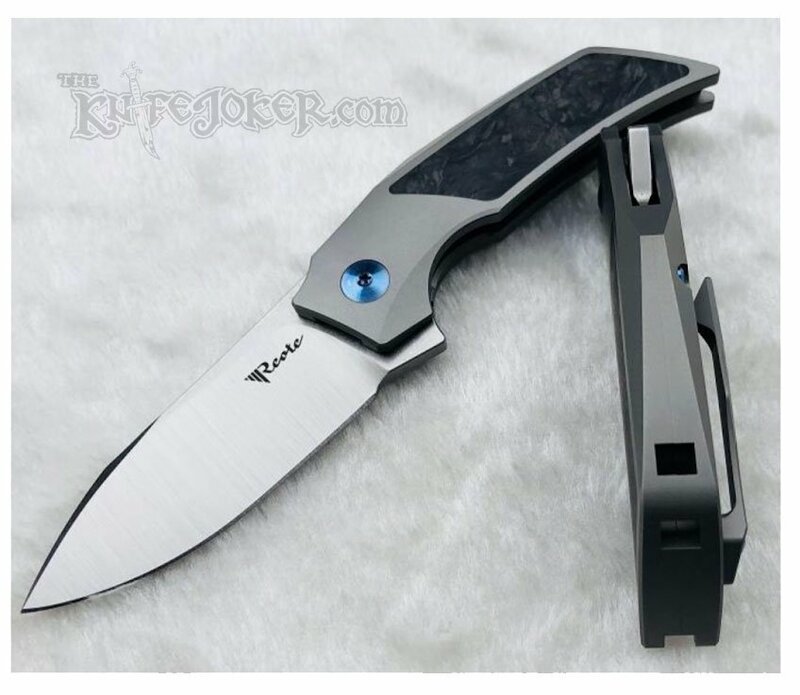 The blade is made from Bohler M390 and rides on ceramic ball bearings. 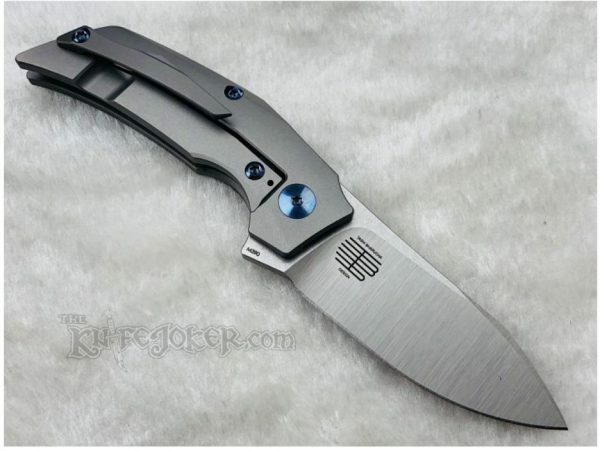 Comes with a padded zipper pouch, cleaning cloth, knife bag, Reate Knives Velcro Badge, and extra hardware. Overall Weight: 50g / 1.76oz.